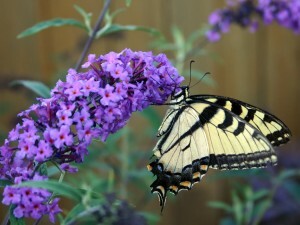 Celebrate spring with a lovely Butterfly Bush. The weather is finally starting to warm up and that means that it’s time to head outside with your gardening gloves to dig in! When it comes to flower planting, your two major options are annuals and perennials. Now, annuals are flowers that must be planted each and every year. Perennials, on the other hand, are flowers that bloom more than once. They come with their own challenges, but the benefits of these lovely florals are sure to win your heart. Let’s take a look at some of the reasons you may enjoy adding perennials to your garden this year. What makes perennials a worthy addition to your garden? Perennials are certainly beautiful, and that reason alone is a great reason to get involved, but their benefits go beyond their physical beauty. These flowers tend to have a much lower need for maintenance, which will allow you to pour your energy into other aspects of creating your perfect garden. Not only that, but perennials provide blooms that can blossom throughout the season. Under the tutelage of a skilled gardener, this can provide an ever-colorful landscape for you to enjoy. 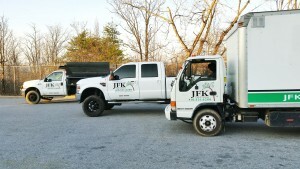 You can also plant them during the spring or during the fall at your leisure. Add the 2017 Perennial Plant of the Year™ to Your Garden! Bring beautiful butterflies into your yard with the Asclepias tuberosa, better known as the Butterfly Bush. These lovely perennials will bring butterflies into your garden all while showing off while providing beautiful color choices of orange, pink, red, white and yellow. Not only that, but the odd hummingbird has also been known to visit these plants. This entry was posted on Monday, April 10th, 2017 at 4:13 pm. Both comments and pings are currently closed.